FBI Washington Field Office Assistant Director in Charge Andrew Vale—with U.S. Attorney for the District of Columbia Channing Phillips (right) and other officials—discusses the four indictments announced in Washington, D.C., today involving a transnational organized crime enterprise allegedly responsible for the theft of more than $13 million from victims around the world. Federal indictments unsealed today in Washington, D.C., charged 19 people in the U.S. and abroad with participating in various international fraud and money laundering conspiracies that resulted in the theft of more than $13 million from more than 170 victims, primarily in the U.S.
Seventeen of those individuals have been taken into custody—some in the U.S. and some overseas—and two remain at large. The Bureau is working with our foreign counterparts to locate and apprehend the two fugitives. The multi-agency investigation—led by the FBI and the Office of the Inspector General of the U.S. Department of Treasury—involved a number of other federal agencies and international partners abroad joining together to target multi-million-dollar fraud and money laundering schemes committed by a transnational organized crime network. This particular case resulted in four indictments involving interrelated online vehicle fraud and business e-mail compromise (BEC) schemes along with unlicensed money transmitting and international money laundering. The investigation began in 2011, when the Bureau’s Washington Field Office received information about abandoned property in a hotel room in Washington, D.C. From that, the FBI was able to link the recovered evidence to a transnational organized crime operation involving an online vehicle fraud scheme. As part of the online vehicle fraud scheme, a network of individuals in Europe allegedly advertised cars for sale on various websites. When car buyers wired the money to the purported sellers’ bank accounts in Washington, D.C., and elsewhere, other co-conspirators who had traveled to the U.S. and opened bank accounts using counterfeit identification documents immediately withdrew the money, laundered it, and then sent it to their associates in Europe. And of course, the buyers never received the vehicles they paid for, but the criminals were able to line their pockets with more than $3 million. Eight defendants were indicted in this scheme. The investigation into the online vehicle fraud scheme led to the realization that some of the criminals involved in that scheme had branched out to much more lucrative activity—a BEC scheme that resulted in losses of more than $10 million from victim companies. Four additional defendants were charged in this indictment. According to the indictment related to the BEC scheme, co-conspirators identified and spoofed the e-mail accounts of CEOs or other high-level executives of various international corporations. Using these spoofed accounts, they sent e-mails—ostensibly from a company executive—to mid-level employees working in these corporations’ finance departments. The employees were instructed to wire large sums of money to what they thought were bank accounts they normally dealt with, but the account numbers referenced in the e-mails had slightly different numbers and were under the control of the criminal enterprise. Once the funds were transferred, the fraudsters allegedly wired that money out of the bank accounts and into overseas bank accounts before the businesses ever realized they had been duped. 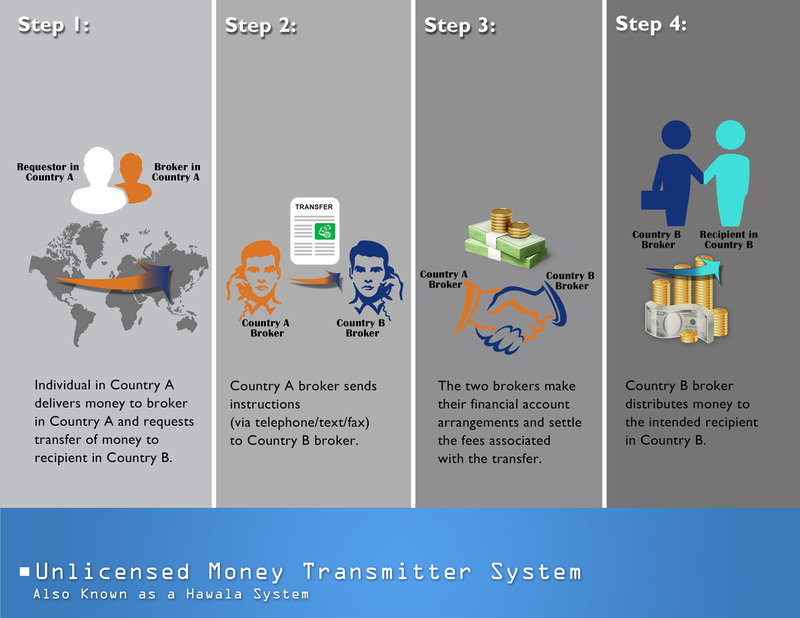 While investigating the above fraud schemes and the efforts to launder the illegal proceeds, investigators uncovered an unlicensed money transmitting network—often referred to as an unlicensed hawala system—operating in the U.S., Europe, and Israel, which allegedly allowed the fraudulent proceeds of the schemes to be distributed from the U.S. to other members of the criminal enterprise in Europe and Israel. Six defendants were indicted for operating an unlicensed money transmitting business after investigators followed FBI undercover funds moving through the unlicensed hawala network in separate transactions in New York and Los Angeles. And in the fourth indictment, one person was charged with generating hundreds of thousands of dollars in proceeds from various fraud schemes and international money laundering. The unsealing of the indictments was announced at a press conference today at the U.S. Attorney’s Office for the District of Columbia. 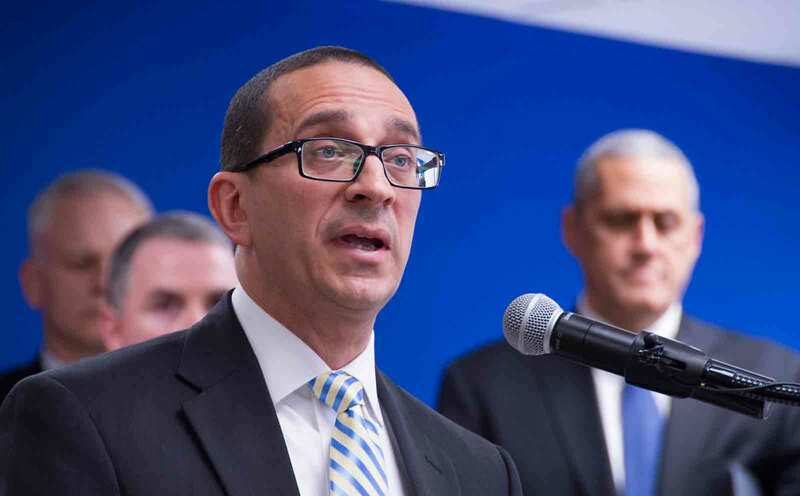 U.S. Attorney Channing Phillips called the indictments “more than just a simple set of fraud schemes—the investigation uncovered an interconnected web of money launderers and fraudsters and individuals who enabled their criminal activity.” He also said that the criminals “could face decades in prison and significant financial penalties” if convicted. 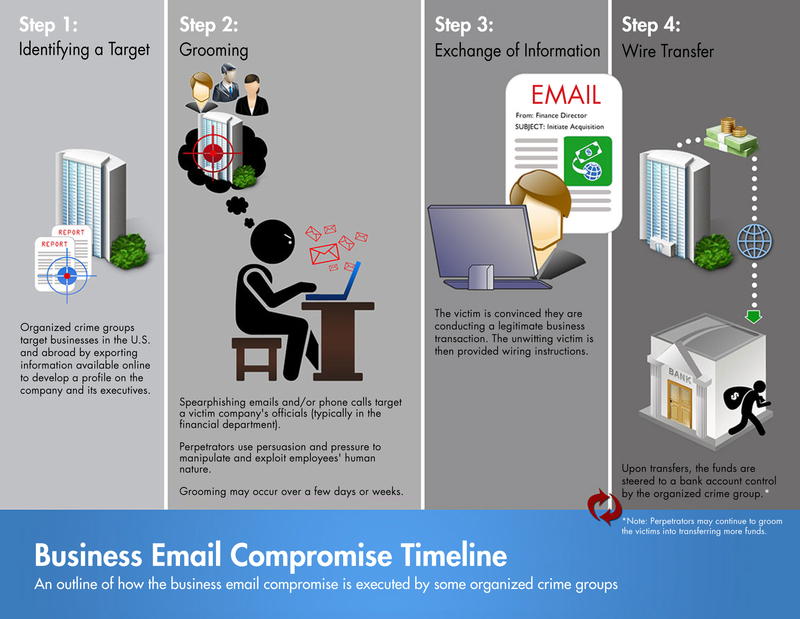 The organized crime groups that perpetrate the financial cyber fraud called business e-mail compromise have victimized companies and organizations around the world.